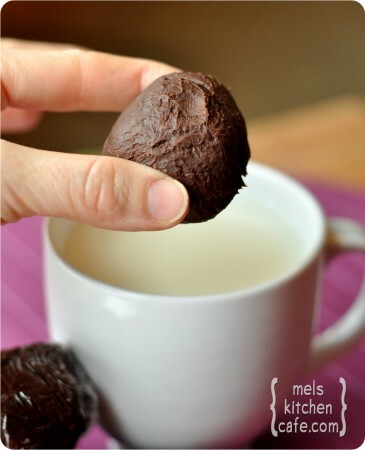 There could only be one thing better than real hot chocolate and that is these Truffle Hot Chocolate Balls. As we get close to the holidays these would make a perfect homemade gift. Head on over to Mel’s Kitchen Cafe to check out the full recipe! Ehrmagerd!! I spent way too long on Mel’s website and have printed pretty much a whole new cookbook for myself. Yummmmmm!! Thanks for sharing this and turning me onto an amazing new receipe treasure chest!